The term structural collapse is often associated with large scale urban search and rescue operations following natural occurrences such as earthquakes. Indeed the start of this century has seen many high profile natural disasters, which have been well reported across the media, often showing this type of rescue operation being performed by specialist search and rescue (USAR) personnel. Of course, USAR teams are often a nationally funded resource and are specifically trained in this discipline and respond to any area of the world when required. They take part in regular training sessions and large scale exercises, which allow them to maintain and develop their skills in structural collapse rescue and other areas of USAR operations. As well as learning specific skills, they are also provided with specific tools and equipment, without which, this type of rescue operation would be unsafe and extremely difficult. This kind of equipment is often very different from the equipment used during ‘normal’ firefighting and rescue operations. So, if USAR teams have specific skills, equipment and training, what happens when the structural collapse occurs on a more local scale, which does not immediately fall under the jurisdiction of specialised teams? We must understand that any firefighter/rescuer may attend an incident where structural collapse or instability will have to be managed. This will immediately compromise the safety of everyone on scene and inevitably delay rescue operations. It is also important to remember that structural collapse does not just refer to ‘buildings’ but relates to any kind of structure that may need controlling in the event where rescue is necessary. Unsafe structures as a result of gas explosion. Unsafe structure as a result of building/renovation. Unsafe structure as a result of fire. 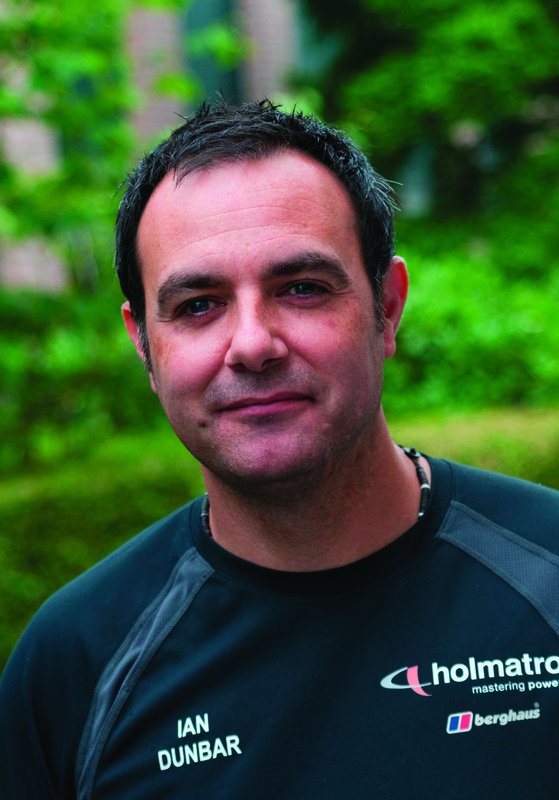 In general, the first response to these types of incidents will not include specialist urban search and rescue teams, so the skills and equipment required may not be immediately available on scene, and the incident progression may be halted due to having to adopt a defensive strategy. It simply is not practical for every rescuer to be specially trained and equipped to deal with structural collapse incidents, however if we accept that attendance at this type of incident is foreseeable, then our preparation must be such, that an effective emergency, response capability can be deployed in the first instance, allowing rescue operations to safely progress. In my career I have witnessed many incidents that involved some form of structural collapse or where a structure needs stabilising, so a safe area can be established. By far the most common was when vehicles collide with buildings. In many cases there is a building that needs securing before extrication can take place. Of course there is an option to relocate the vehicle, but this is not sympathetic to the victim, and movement of the vehicle may certainly compound his or her injuries. Gas explosions in domestic and commercial properties are not a rare occurrence and do not always result in a fire. The blast wave exposes the structure to a very rapid dynamic load as a gas explosion will generate high pressures and often also high flow velocities. It is the pressure and flow that cause the dynamic load on structures, and consequently cause the damage. Upon arrival, without the ability to stabilise the structure, there is very little chance of performing effective search and rescue operations. Building and renovation work affect the integrity of a structure, and collapse during this type of work is possible, particularly where work involves load-bearing elements of the structure. A building that has suffered severe fire may show signs of collapse. The heat causes thermal expansion of steel beams (in older building these beams may not be protected) and causes brick walls to bulge outwards. All firefighters should be aware of these signs and symptoms of collapse and be able to identify these risks during firefighting operations. 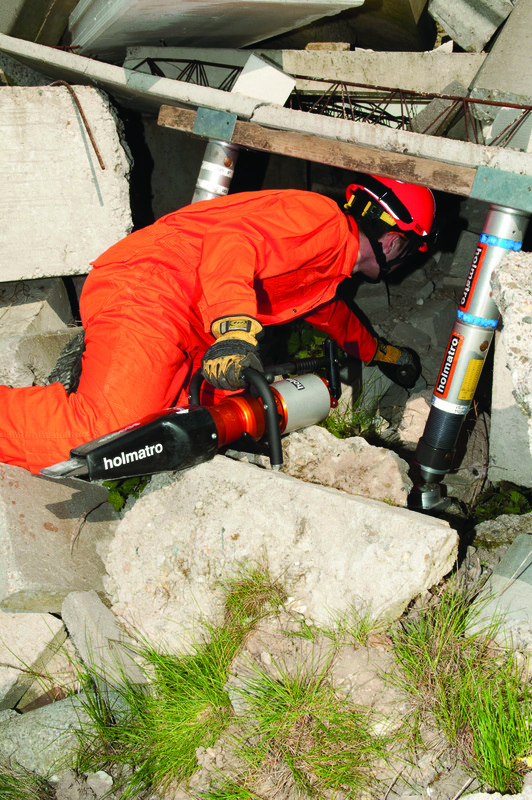 Trench collapse operations require rapid intervention due to the nature of injuries that are often sustained. However the stability of the trench will further be compromised by the attendance of rescue personnel at the top of the trench, meaning that rapid stability is required. None of these types of incidents are rare, and all require some form of structural stability to ensure a safer working environment and to enable the continuation of operations. 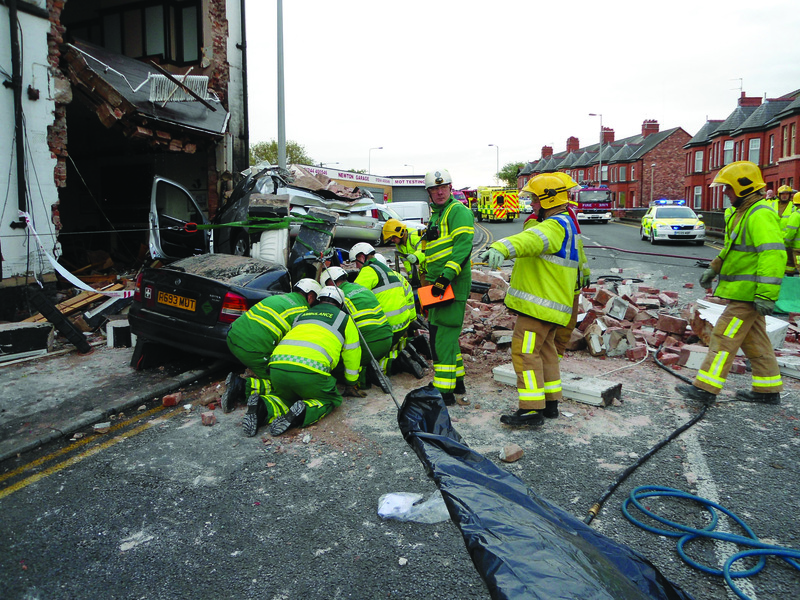 We have identified that it is not possible for every incident of this type to be attended by USAR specialists as part of the initial response, so what can be done to ensure the gap in knowledge and equipment can be reduced, giving the initial crews a safer working environment and greater options? Building construction is a vast subject and of course differs enormously around the world. However local/regional building methods tend to stay relatively similar (with the exception of new materials, particularly in commercial structures) and this gives a focus for learning. An understanding of how the load bearing elements within structures work, will give you an appreciation of the consequences when these parts of the building are damaged or completely destroyed. This will also make understand what actions need to be taken in order to rapidly support this area in a dynamic situation. Understanding the types and severity of injury encountered in such incidents will give you the understanding of the need for dynamic intervention and the control required during extrication. Structural collapse may involve some type of crush injury, also the importance of medical and technical intervention crews working closely in such incidents cannot be underestimated. With crush injury syndrome, immediate release is not an option (depending on the time trapped) and the controlled release of a victim suffering this type of trauma is vital. Identifying USAR teams who may cascade their knowledge is an option worth exploring. USAR specialists will (I am sure) be happy to attend training sessions with firefighters/rescuers in order to assist with your learning. USAR equipment differs from your normal firefighting and rescue inventory, however there are some items that offer the possibility of crossover, and for the types of incident listed above, some of the equipment that is normally only carried by specialist USAR teams, should now be part of your primary rescue response. This equipment gives you the ability to very quickly construct load bearing shores that can create safe areas in which to work. They are light weight, easy to construct and have both a load bearing and lifting capability. They consist of a strut, extension pieces and together with specifically designed heads and bases, can be used in a wide range of incidents to provide vertical and horizontal stabilisation. The struts can be hydraulic, pneumatic or manual and allow crews who are first on scene to start to stabilise the structure with a view to progressing the rescue. In the case of the hydraulic and pneumatically operated shores, these can be inserted and extended remotely, meaning that the rescuers are not immediately compromised in the risk area. The main advantage of these types of system is that they are not just suitable for structural collapse/trench rescue incidents, but can also be used for stability or lifting at road traffic collisions, either on single cars or large goods vehicles. So the more exposure you have to using this equipment in more common incidents, like road traffic collisions, the more efficient you are using them at less common structural collapse incidents. 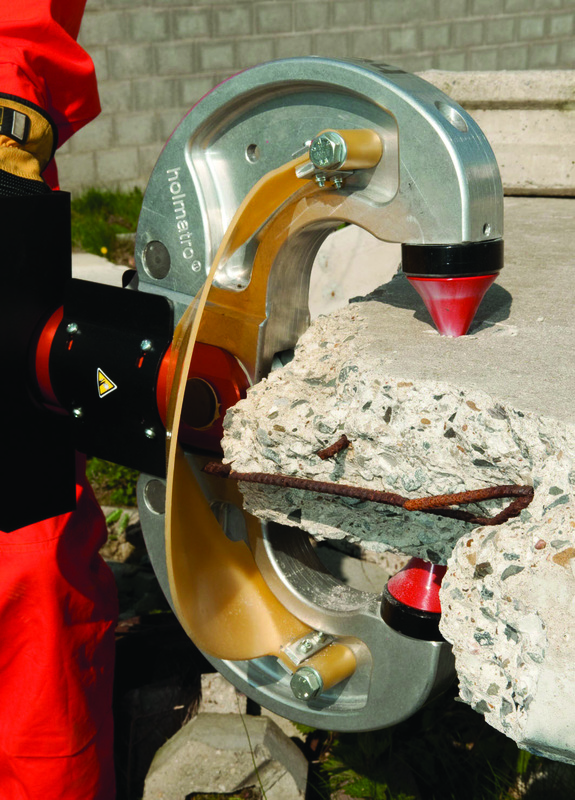 Removing the results of structural collapse in order to make progress into the building or rescue victims, the ability to crush concrete rather than cut means there is less noise and dust created. Less dust means the atmosphere is more tolerable and the process of crushing produces little or no vibration at all, therefore not affecting stability. This tool allows the rescuer to commence a lift with an insertion height as little as 6mm. This lift can then be continued with a high pressure lifting bag and a full lift can be realised by the use of a lifting cylinder or a shoring system with a lifting capability. This tool can also be used for breaching security shutters and opening elevator doors. We must accept that as firefighters/rescuers, we can face a structural collapse incident any day of the week, and it is no longer just the type of incident faced by specialist USAR teams when they respond to a natural disaster on a national or international scale. There are many factors and events that make structures unsafe, and these are not uncommon and indeed are foreseeable. In most cases, equipment and knowledge may mean that a safe intervention cannot be made immediately and this will inevitably put pressure on the crews on scene, who will be facing the moral pressure to react. Equipment historically only used by specialist teams must now form a part of your initial response package. This allows for a safe environment to be created in the first instance and immediate progression to be made, before the arrival of further resources. There will always be incidents we respond to where we do not immediately have the right equipment and speciality knowledge. However, the more these incidents occur, the more we must improve our capabilities in terms of what we have and what we know. Whatever we are faced with; crew safety is always the priority. And with additional equipment and training we can ensure that we operate in a safer environment, giving us the ability to be more effective on scene.